As court begins every day (see schedule above), we will be visualizing the courthouse at 111 North Hill Street in L.A. and filling every single room inside with INTENSE WHITE LIGHT. This light will dissolve all negativity, fear or worry. See it leaving the entire building glowing with the light from above ~ a beautiful shimmering LIGHT that emanates pure LOVE. Within this LIGHT, only LOVE and TRUTH can be spoken, felt or heard. All things proceed with COMPASSION and the guidance of HIGHER WISDOM. All decisions made within the light will be for the highest good. 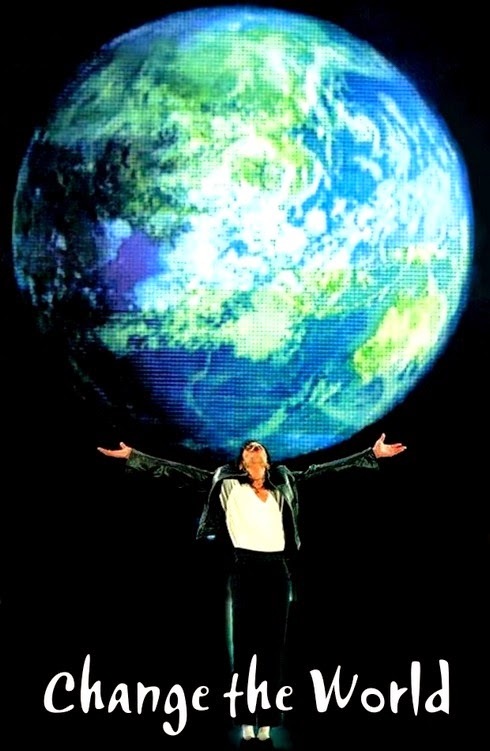 We let go of our own expectations, anger, fear and pain and let ourselves KNOW that the best possible outcome for Michael's legacy will occur (given the circumstances). We ask that HIGHER GUIDANCE fills the hearts of the attorneys, the judge, the jury, all involved, including the MEDIA who are covering the trial. EVERYONE involved, no matter how remotely, is touched by this brilliant white light and is thus guided and motivated to work toward the highest good in the situation. We pray that this brightens up any dark places of greed, revenge, deception or falsehood and that it allows God/Source/Spirit to work LOVE'S MAGIC! We know this will be so and are grateful that things will work out better than we'd previously hoped for. As we hold this vision of light, we now notice thousands of fluffy WHITE FEATHERS that are softly floating down from above. 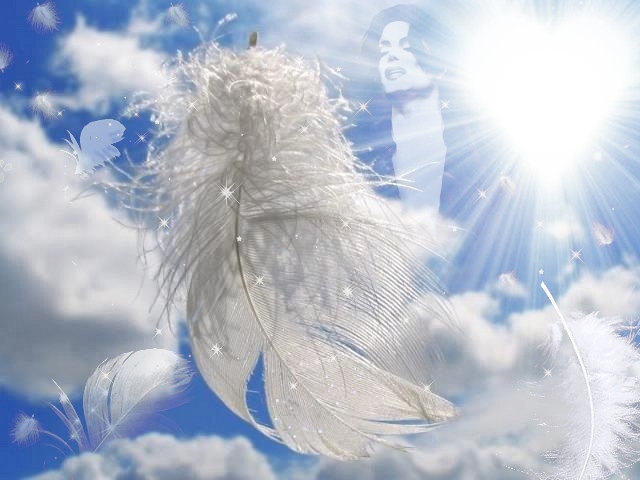 The feathers come to rest surrounding those we wish to PROTECT and COMFORT... like Paris, Prince and Blanket, like Michael's mother Katherine, like our global family of loving MJ fans who are in fear or pain about this trial, and also Michael's name and legacy in this world and his beautiful heart in the next. Each feather completely protects and comforts everyone it touches, like being enclosed within an angel's wings, so vividly visualize them floating to everyone you feel needs them. You can include your friends, family and anyone else you wish. Who they go to is up to you! When you are done, take another moment to reflect on the LOVE you feel and THANK everyone who has helped today and who is assisting us with their LOVE. Know that what we create in our minds becomes real in this world, and THE LOVE WE GIVE IS NEVER IN VAIN. This is difficult to read; looks like grey on black. Can someone fix, please? I agree with the prayers. And ask God to bind ALL LIES, deception, evil workings, deceit, and people looking for fame or ill attention at the expense of the children. Let this be quick and to the point. That God allows the judge to keep fair order. Thank you so much for this, thank you BeGodsGlow and the MLPteam, thank you all the MJ-followers who join,thank you Michael for guiding us in LOVE. Thank you, thank you, thank you. May God bless us all and bring this trial to a swift, painless conclusion, with the best outcome for all concerned - but especially MJ's kids and his legacy of L.O.V.E. BGG...all of your pages are looking this way, and that is not usually the case. I use Mozilla; couldn't even get your page to open in IE. Is there another browser you'd recommend? Debbie, Pls see Private message on your FB page. God Bless You Major Love Prayer! As MICHAEL said "let love be your weapon to conquer any evil". So here we go! As for the prayer, I've considered also that we are not asking that anyone be harmed or that real truth is suppressed... only asking for greater love, out of love, with our hearts focused in love. I don't see it differently than asking for the protection and health of any loved one. In that instance we are asking for what WE want, what we think is right, although we have to admit that we cannot see the bigger picture from here. But it's something POSITIVE coming from a place of LOVE. So it's like state what you wish, while centered in love, and let it go, allowing God to work it out if it's part of the higher good. I understand and agree with you totally! Sharing the prayer and message links on FB and Twitter and hoping others will join. Thank you, everyone! Blessings and LOVE! The 9 am time slot (1.30 am next morning here in South Australia) is OK for me as I am often awake still watching TV/DVDs or reading a book in bed at that hour, and now I just make sure I am, and take time to prepare for the global prayer/meditation. However, the 11 am time equates to 4 am in the morning here, and if I'm going to keep my strength up and sustain the daily prayer over the period of the trial(s) I have to be reasonable about getting a good night's sleep. I trust you will all forgive me if I maintain the original schedule? I know I should - and certainly WANT TO - give my all for Michael, but being in a very different time zones does create some problems. Does the Twitter MJ prayer group have a specific meditation the use? I am curious to know, but am mostly avoiding twitter (except to share links to my account) because I don't want to keep following the trial reports - they make me far to ill and depressed. I would be interested though to know more about the group. Hi Kerry :) I know the time isn't always ideal for everyone. So sorry the M, W, Fri time won't work out, but yes, of course ... anytime we can do it we make a difference! The other prayed group is headed up mostly by twitterers @RealJustice4MJ, @MJAllForLove and @joih4. 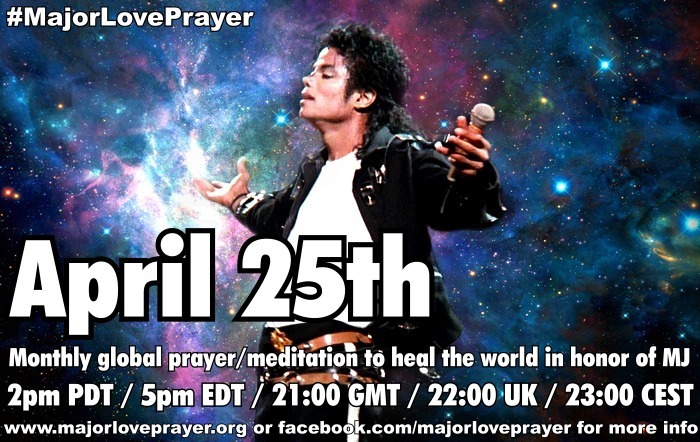 Many have been joining them since just before the trial began with the hashtag #PowerPrayer4MJ (theirs was 1pm US Central Time, i.e. 11am Pacific). I'm not aware of a specific visualization. They said they are essentially doing the same thing as us with the same goals ... highest good and truth and protection of Michael's legacy, his children, his mother. There was some confusion on the use of the hashtag (someone tweeted us asking us to use it and help trend it, but it was actually the tag being used by the other prayer group and so we were tweeting that tag unawares with the 9am time, they were tweeting it with the other time, aghh!...) ...long story short we therefore talked and agreed that the most wonderful thing is UNITY, that if we can get the whole fan community to join as ONE we could all be a uniting force of prayerful LIGHT together! Beautiful, and just what we're all about! :)) Since they had many doing 11am PT and we had many doing 9am PT, we compromised and combined it all into the alternate day schedule to hopefully fit at least some days with the most people. We will update info on website, etc as soon as we can.